We chatted for a quite a while about past races we’ve all done together, upcoming races, and life in general. Frequently I’ll have Thais say hi to me by name at races but I won’t know them. This also happened at the start of the Phrae Marathon last weekend. I try hard to remember faces and names but it’s very difficult. We love getting to know the running community here more and more. Just need to learn how to speak Thai better….. 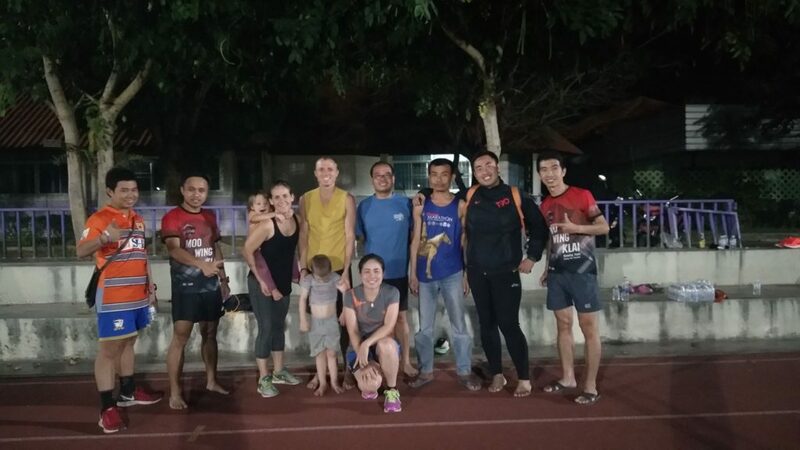 Excited to know the fun runners of Moo Wing Klai (Pig Run Far) running club!